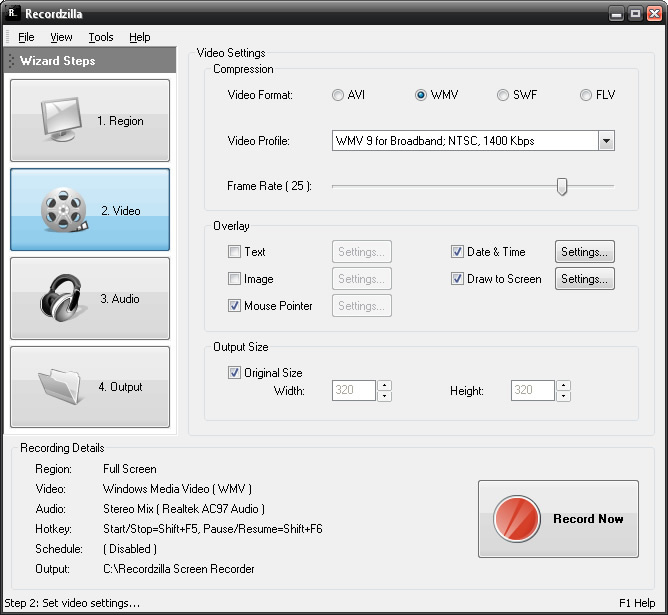 Recordzilla is a screen recorder software that lets you capture video, audio and pictures of anything you see on your computer screen and save it as video AVI, WMV, Flash SWF, or Flash FLV.
" The software interface is very easy to use. A series of wizard steps are suggested to help you attain the best results, but you do not need to follow them all. This means that if the configured parameters meet your needs, you can go straight and push the Record now button. " Capture video, audio and pictures on your computer screen and save it as video AVI, WMV, Flash SWF, or Flash FLV. Record full screen, active windows, custom region, autopan, any portions of the screen, mouse cursor's movement, menus, and even video with sound. Record webcam conversation from AIM, Skype, ICQ, web WhatApps and more. Create training videos, presentations, demos for your product with voice capture from microphone to add narration to your recordings. Record any website and even online video streaming website like Youtube. Record games while you are playing. Record movies from TV card, DVD, VCD while playing on your computer. 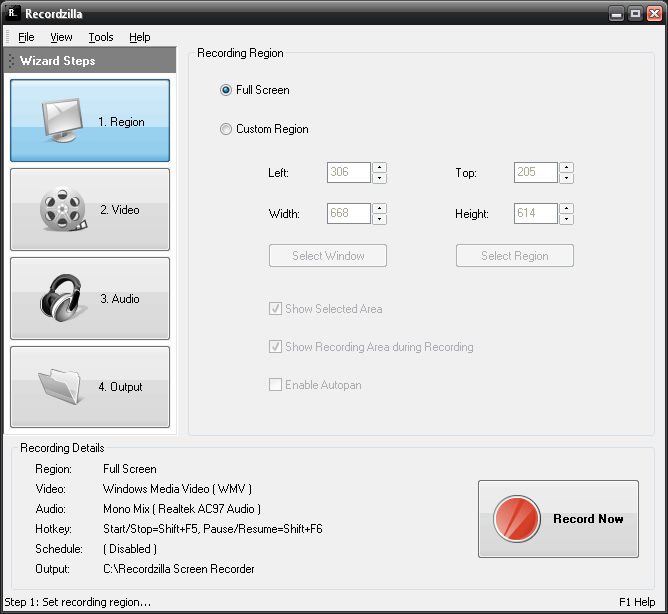 With so many features offered, Recordzilla Screen Recorder provides the most complete solution for your screen recording task. Schedule recording to start and stop at specified date & time. Support hotkeys shortcuts to control the recording. Add Text, Image, Date and Time Stamping to video recording. 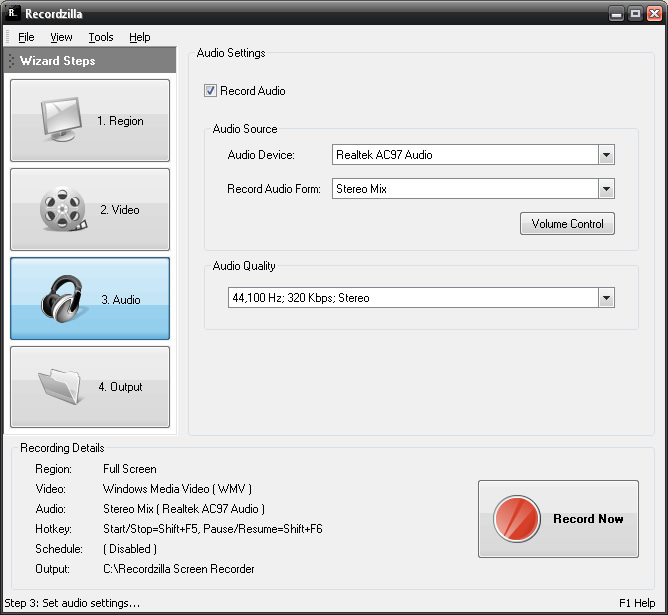 Support audio recording from what you hear from the computer speakers, microphone and other input devices like vinyl, cassete tape, and video input. 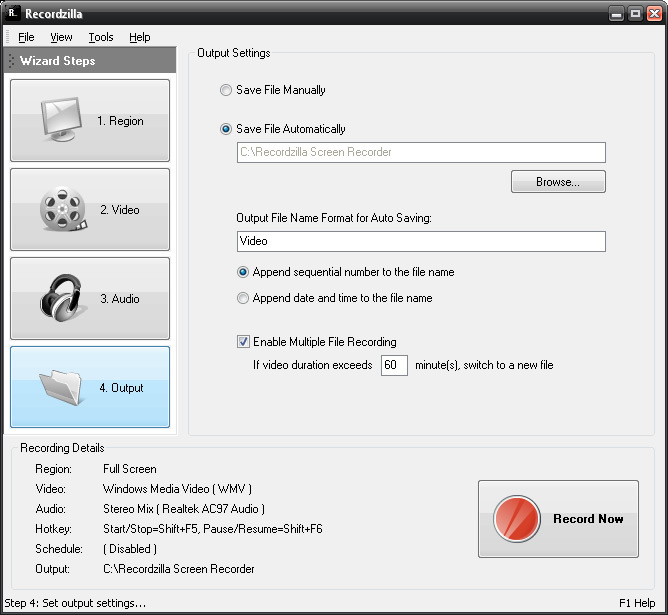 Recordzilla will auto split and save a lengthy screen recording according to the specified duration. Mouse highlight, draw to screen,adjust video resolution, size, frame rate and many more.